Joint the fight against oral disease in your pet!! Periodontal disease affects nearly 80% of dogs and cats over the age of 3? It starts as bacteria and plaque on the teeth and progresses to a build up of tartar, causing tooth decay, gum infections and tooth loss. Over time, this can also lead to damage to the heart and other internal organs. Because your pet can't care for his own teeth, regular professional care from your veterinarian, as well as care from you at home, is important for the dental, as well as overall, health of your pet. Join the fight against oral disease!! Step 1: A dental exam and cleaning by your veterinary professionals. Step 2: Regular home dental care that includes brushing your pets teeth and a nutritious diet. Step 3: Regular follow-up veterinary checkups. 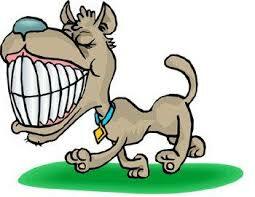 Call to schedule an appointment for a dental exam and/or a dental cleaning for your pet today.